People who work in agriculture are 8-10 times more likely to die on the job than the average U.S. worker. Efforts to prevent such injury and death on farms through policy are met with resistance, meaning most safety improvements must be adopted voluntarily. Inadequate numbers of safety consultants exist to assist farmers in making their farms safe. In pilot research, farmers expressed willingness to make changes to behavior and operations if given advice from their local fire department. 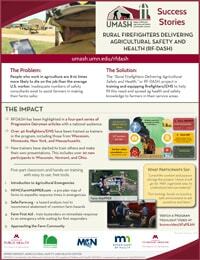 The “Rural Firefighters Delivering Agricultural Safety and Health,” or RF-DASH, project is training and equipping firefighters/EMS to help fill this need and spread their knowledge to farmers in their service areas. 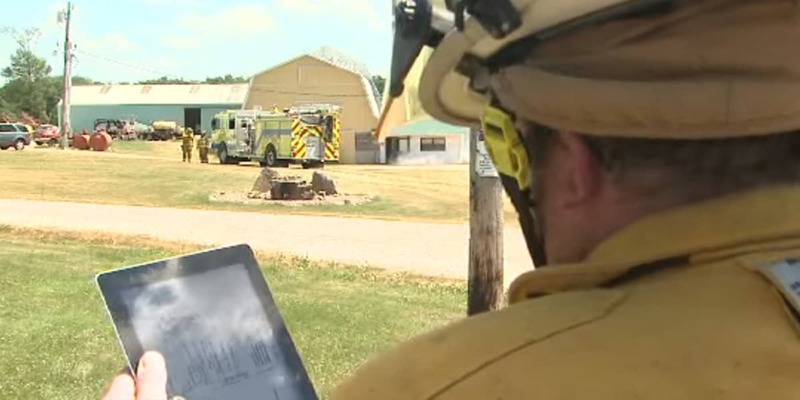 RF-DASH utilizes existing networks of firefighter/EMS training to equip first responders with tools and knowledge to perform brief farm safety consultations. 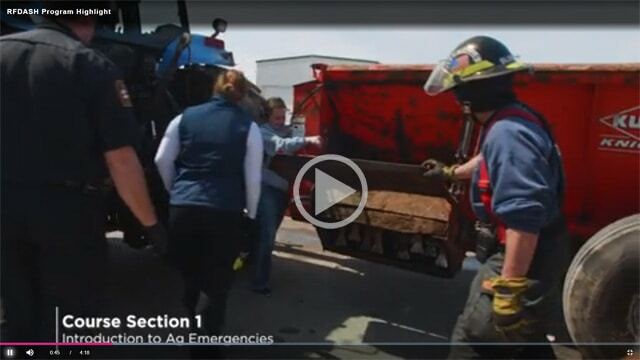 These consultations are designed to improve farm safety and ensure the safety of first responders in the event of an emergency. RFDASH has been highlighted in a four-part series of Progressive Dairyman articles with a national audience. Over 40 firefighters/EMS have been trained as trainers in the program including those from Wisconsin, Minnesota, New York, and Massachusetts. New trainers have started to train others and make their own presentations. This includes over 20 new participants in Wisconsin, Vermont, and Ohio. The project features five-part classroom and hands-on training with easy to use, free tools.